as well as from info found on various webpages and from info sent in by Byrds Flyght visitors. Thanks to all. Special Thanks to Mike Masterson and Thomas Aubrunner. 2) Compilation albums and re-releases are mentioned only if they contain tracks not on the original releases (except for a few cases). Note: In 1970 this album was reissued as the soundtrack to Deliverance (Warner Bros. BS2683, 1973). The song "Dueling Banjos" was added; it does not feature Clarence White. 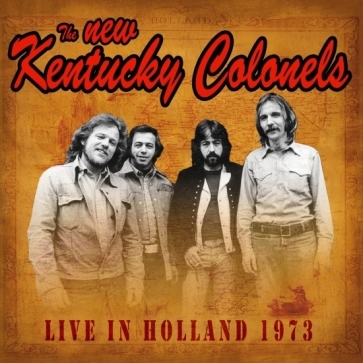 Note: Reissued in the UK with both World Pacific single sides added as The Kentucky Colonels featuring Roland and Clarence White (United Artists UAS-29514). Reissued in original form as Appalachian Swing (Rounder SS 31, 1993). Note: these tracks later appeared on the expanded version of the Gosdin Brothers' Sounds Of Goobye CD. Note: The Gosdin Brothers are backed by the members of Nashville West on side A. Clarence White doesn't play on side B. Note: Great Love Trip is a Gary Paxton project. Note: Pictured at left is the the UK vinyl reissue on Edesel, right is a version from Taiwan on red vinyl. The label on the Taiwanese LP misspells the Gosdins' name as Gosclin. The original 11 LP tracks were also re-released in 1997 on CD by the UK based EDSEL label. Clarence White plays guitar on all tracks. Note: Clarence White plays on several tracks from this LP as a guest studio musician. He was not a memeber ot The Byrds at the time. The original cover is at left. The second cover is from a Taiwan release that features orange vinyl. Release date sometimes listed as July 1967. The Feb. 6 date is cited in the CD expanded reissue. Many other releases can be viewed on Byrds Flyght's Byrds Rare Vinyl pages. Note: At left is the original cover. Second is a British reissue from the mid-70s (subtitled "Space Odyssey"). Clarence White is featured as a session musician. Note: The image at top left is from the CD, the second is from a 1970s British release on Embassy. Lower is from a limited, numbered "millennium edition" of Sweetheart of the Rodeo in a 6 x 6 (approx) cardbox sleeve. Clarence White is featured as a session musician. # Music composed and conducted by Dave Grusin, except as noted. The recording of Child of the Universe is a different version than the one found on Dr. Byrds and Mr. Hyde. Two versions of the LP album cover exist in the United States, as shown above. Why Didn't I Write That Song? Note: Gram Parsons, Gene Parsons and Clarence White appear on this rare single. At right is the 2004 CD compilation which contains these two tracks. Note: Clarence White appears on this single. Note: The lineup on both sides of this single is Don Everly, Phil Everly, Clarence White and Gene Parsons. These tracks also appear on several Everly Brothers compilation albums. They also appear on Silver Meteor, a Sierra Records compilation album by Various Artists, credited to Clarence White. Pictured here is the picture sleeve single from Holland. Note: "The Modern Country Friends" is Clarence White's group with a brass section . Other versions of "Tuff and Stringy" and "Tango for a sad mood" were released on the Bakersfield International label as a Clarence White single. Note: Clarence White was a guest musician on Wasn't Born To Follow by The Byrds. Image at center is the European cover. At right is the 2004 CD re-release with bonus tracks by The Byrds and The Flying Burrito Brothers marked *. Note: At left is the original cover. Both other images are French reissues from 1974. Many other releases can be viewed on Byrds Flyghts Byrd's Rare Vinyl pages. Below is a scan of the song listing from the back cover of the extremely rare early "(Untitled)" mispressed cover that lists Kathleen and Tag as being on the album (the vinyl was no different from the common LP). Note: This album is a reissue of Eric Weissberg's LP "New Dimensions in Banjo and Bluegrass" . The song "Dueling Banjos" was added; it does not feature Clarence White. Note: The original album is at top left; Next is the quadrophonic version of the LP, from Japan. Many other releases can be viewed on Byrds Flyghts Byrds Rare Vinyl pages. Note: Clarence White participation needs to be confirmed, as he receives no credits on the album cover. Note: This 3 LPs set contains songs by Rusty Dean and Gib Guilbeau on which Clarence Whites appears. Note: The original album is at left; promo CD release with bonus tracks is at right. Note: The Byrds perform two songs. These versions were unavailable elsewhere until they appeared on Earl Scruggs CDs re-releases. Image at center is from the "2 on 1" CD. Image at right is the VHS video release. These tracks also appear on a 2004 DVD release called The Complete Earl Scruggs (see image 4). See Byrds discography for more recent DVD releases. Note: While the tracks indicated (#) are not listed as by the "Byrds" - these in fact represent a reunion of sorts, because the two tracks feature the five original Byrds. Roger McGuinn is said to play and sing on most other tracks as well, but his playing and his voice are buried in the mix and are not audible. The image is from the original Dutch album. Note: Clarence White plays guitar on several tracks. Note: Image at left is the original release; image at right is the Ridge Runner label release. Various Artists: What's It All About? Note: This exceedingly rare 7-inch 45 features an interview with Roger McGuinn plus some Byrds songs. The record was sent to some religious radio stations in the U.S. The label at left reads "Produced by TRAV, 341 Ponce de Leon Ave. NE, Atlanta, GA. 30308, for the Presbyterian Church in the U.S. and the United Presbyterian Church, U.S.A., Asylum Records, Columbia Records." Side B of the record contains a similar program featuring the Hollies. Note: A Clarence White is credited with keyboards but it is not clear whether or not it is "the" Clarence White. Note: Clarence White is credited as playing guitar on the album. Note: Contains live cuts from 1961 to 1965. Reissued with 6 new tracks as Sierra/Hollywood HS 67003 in 1997. Note: This is a compilation sent only to radio stations. Clarence White appears on two Byrds songs. Note: This album includes two live Byrds tracks otherwise unavailable. Note: Image at left is the original vinyl reissue. Center is the Sierra CD release (1997). Right is the Rev-Ola CD release (2003). Note: Clarence White is credited with guitar on tracks marked *. Two different covers were used. Note: This album contains the 45-single versions of these songs, which are generally unavailable. Note: Track list unknown at present. Show Number 41 focused on the Byrds. Note: Music and interview program aired by radio stations. 21. What Am I Doing Hangin' 'Round? Note: An expanded version of Gene Parsons's 1973 solo album "Kindling." The CD includes some Byrds songs featuring Clarence White (#). Note: Other tracks unknown. This song contains an "interpolation" of Lay, Lady, Lay by the Byrds from their 1969 album Dr. Byrds & Mr. Hyde. Note: This video contains rare footage of Gram Parsons with The Fallen Angels and of Clarence White. Note: This compilation album features various rarities and oddities, including three recordings by the Byrds: early demos by the "Jet Set" and "Beefeaters" and one song by Jackie DeShannon that features the Byrds supplying the instrumentation - unavailable elsewhere. The remainder of the recordings are by former members or various combinations of former members. Note: Clarence White appears on this CD, but it is not currently known on which tracks. Note: A collection of unreleased and previously recordings featuring Clarence White. Note: this compilation by Rick Nelson contains three songs marked ** which are previoulsy unreleased recordings featuring Clarence White. There's also one previously unreleased song (marked *) featuring Skip Battin on bass, from the sessions of Rick's 'Love And Kisses' album in 1965. Note: Clarence White plays on several of these tracks recorded in the late sixties. Chris Hillman and Michael Clarke also appear on this CD. Note: This CD contains mostly recent recordings, but among the bonus tracks, are some older songs from 1968 on which Bruce Oakes is backed by members of Nashville West with Clarence White. Gib Guilbeau (backed by Nashville West) also appears on this CD. Note: This CD contains tracks featuring Clarence White and Gene Parsons. Note: Gene Parsons and Clarence White contributed to these recordings. Note: This heavily Byrds-related compilation Cd features one previously unreleased track * by the Gosdin Brothers (Georgia), presumably backed by Nashville West with Clarence White and Gene Parsons. All other tracks were previously released, and as such are not mentioned in other discographies, except for The Gene Parsons discography. Note: This Boxed Set contains two previously unreleased versions of 'I'm On My Way Back Home', as well as the previously released version of this song and of "Cuckoo Bird", on which The Everlys are backed by Clarence White and Gene Parsons. Some sources say Clarence White also plays on both versions of Eden To Canaan (marked **). Note: This book/CD set presents Clarence's early but fully realized acoustic guitar style, as demonstrated in the recordings he made at home in 1962. These songs were included in the "33 Acoustic Guitar Instrumentals" CD. The book isn't a survey of his entire career but rather focuses on the core elements of his early style. The intent is to provide an entry point for intermediate players to understand and begin to play in this style, and to impart the flavor of Clarence's early musical environment. It's not a survey of music from his entire career, and the biography, by Roland, covers the years that Roland lived with him. Disc 1 contains Clarence's renditions, plus Windows Media format video of Clarence playing two tunes. The book also has a biographical section by Roland, and a lot of great pictures. Note: the long lost Skip Battin solo album., with a couple of songs from his previous LPs (never released on CD) added. Also features two videos of pre-Byrds Skip Battin lip-synching two songs on b&w TV (1965). 13. Roll In My Sweet Baby's Arms / Will You Be Lovin' Another Man? Note: Roland White, Eric White Jr, Clarence White and Herb Pedersen live at the Turfschip, Breda, The Netherlands in 1973.